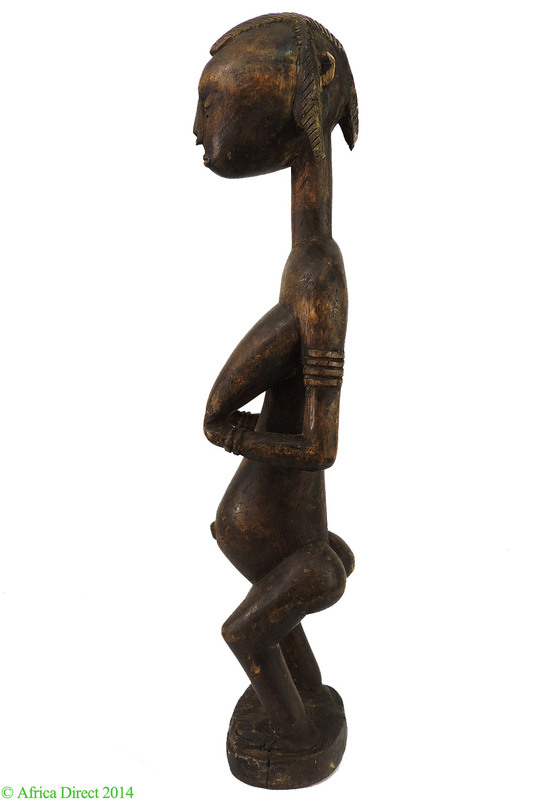 Dimensions 23.5 inches H. x 4.5 inches W.
The extraordinary range of figural sculpture among the Bamana of Mali gives rise to a wide range of styles sharing certain identifying characteristics. 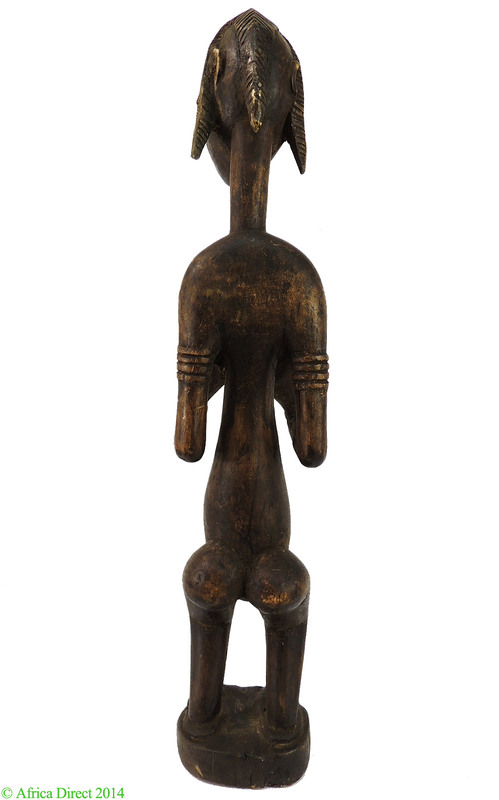 They can have, as in this work, an elongated torso, with short and slightly bent legs and prominent feet and with focus upon the head and hair and conically shaped breasts. This figure presenting her breasts with her elegant posture and her beautiful head and face, is a superb carving with obvious age and evident traces of long use . 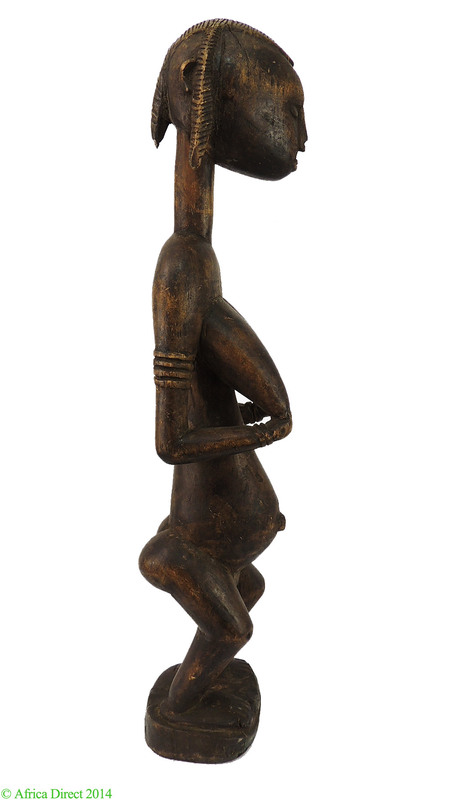 This figure is known as Jomooni or Gwandusu among the Bamana serving as visual metaphor for the concept of regeneration and the difficulty of giving birth. Sculpture is an important visual component of the Jo initiation society for young girls and boys. 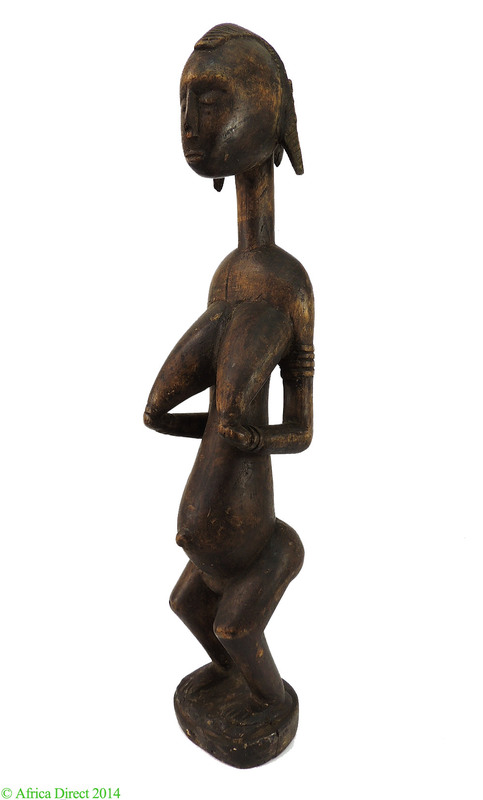 Located primarily among the southern Bamana, Jo takes place over a span of years in which the initiates undergo training and instructions which includes the use of sculpture called masiriw - the visual ornaments of Jo. As part of annual celebrations that take place when the first rains of the year occur figures such as this would be taken from their shrine house to the center of the village where they would be ritually cleansed and decorated with beads. These events were directed to assure the fertility of women and crops and to acknowledge the ancestors. 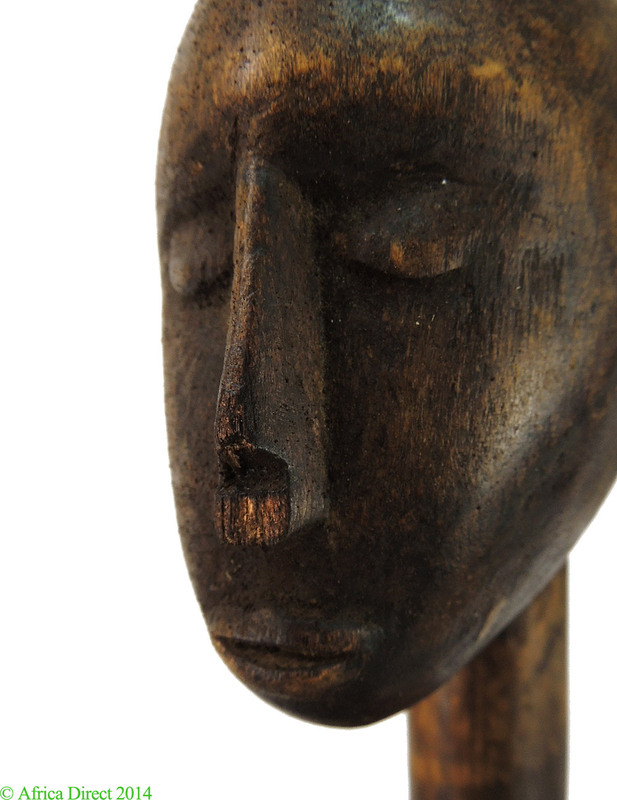 Recommended reading: Colleyn , J.P. (ed,) 2001, Bamana, Art of Existence in Mali.